Although the weather can provide wonderful opportunities for incredible images, I find I lack the motivation to go out and find them due to the short days and low light. 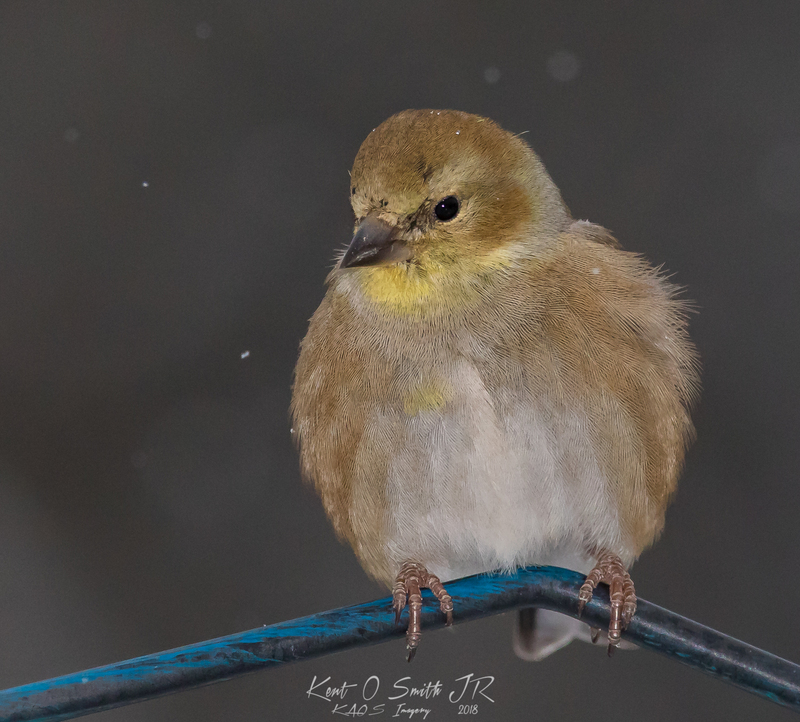 One easy but lazy thing to do is shoot backyard winter birds. We have several bird feeders on our back deck. 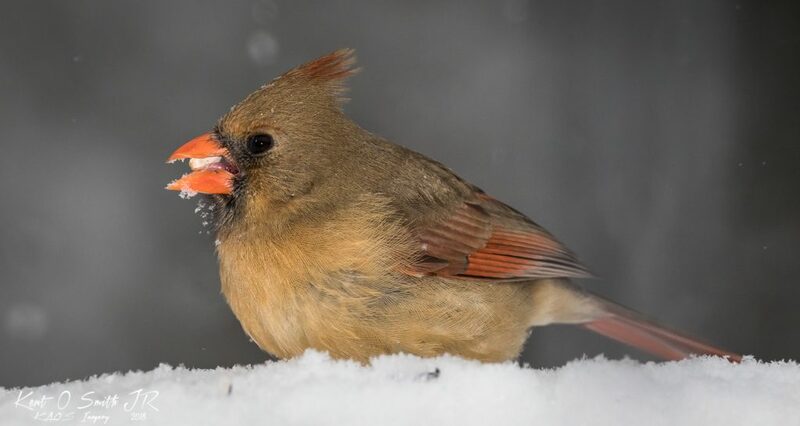 When they are not being raided by the squirrels, a number of different types of birds frequent them. They are fun to watch and challenging to shoot. Most of these birds are small and skittish. They hear the creek of the floor or sense my movement and they are gone. And they rarely sit still for a portrait. I started out using the Canon 7D Mark II since it’s a great action camera and can burst 10 shots in a second. To get the reach, I used a Sigma 150-600 Contemporary lens. On the crop factor of the 7D2, that’s up to 960mm full frame equivalent. I quickly found that hand holding this combo require really fast shutter speeds, and in the low light of winter, I have to crank up the ISO accordingly. This resulted in images that were grainy and full of noise. Let’s face it, the Sig 150-600 is a great lens for the price. It was close to $1,000 (recently under $800!) but it in no way can compare to the Canon 600mm f/4 in any regard. Of course, that Canon is about $12 grand! But the Sig does okay for what it is. It does need a good amount of light and with the low light of winter it’s not performing at it’s best. I tried the 5D Mark IV with the Sig, you lose some reach, but the 5D4 handles high ISO much better. The results were better but not really great. Then I remembered that I had a Better Beamer that I purchased years ago. 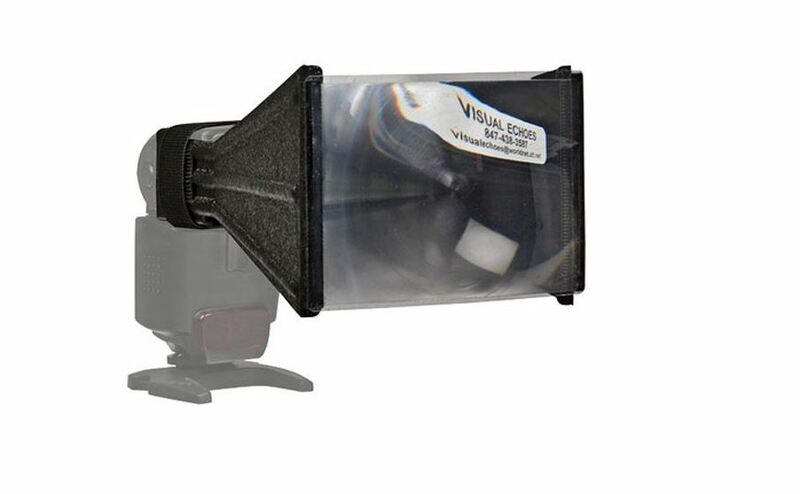 The Better Beamer is essentially a magnifying glass for your flash. It helps focus and push that light a long distance, they say up to 300 feet. In my case, I needed a little fill light at 15-20 feet. I have a large C shaped bracket that attaches to the lens plate and holds a flash so it’s elevated, not directly in the camera hot shoe. I short coiled cable links communication to the camera. Still hand holding at fast shutter speeds – 1/1200 to 1/2500 of a second – I set the speedlight to high speed sync mode and used it manually for adjusting power. The fill flash results were MUCH better! The extra light gave contrast and definition to the feathers as well as add a catchlight to the eyes. In high speed sync, the flash loses a lot of power, but since it was only fill light, that wasn’t an issue. Next time, I won’t be quite as lazy, I’ll set the big lens on a gimbal mount tripod. 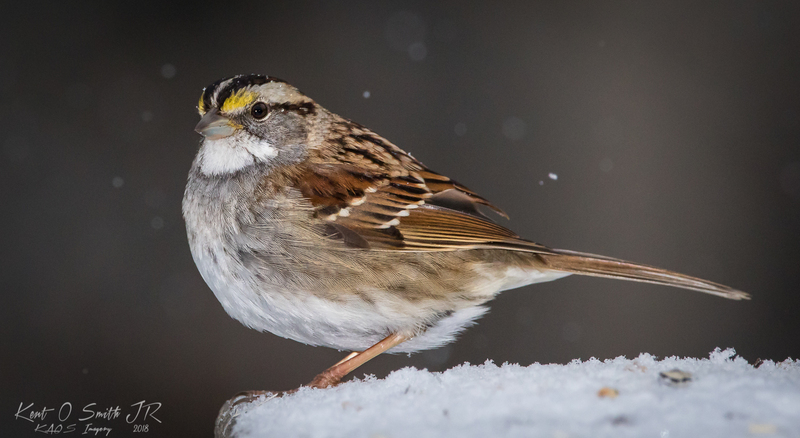 The best image of the afternoon was the white throated sparrow, though the other photos show the benefit of the fill flash. That’s how I got that shot.